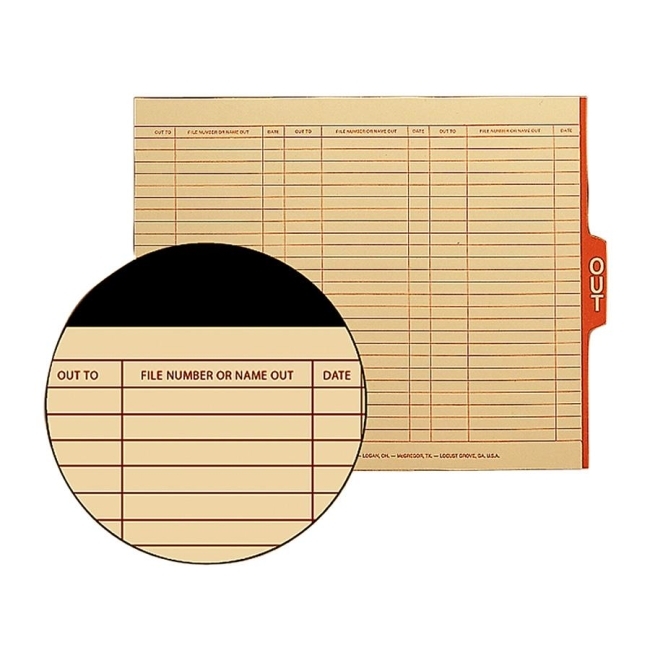 End-tab out guides put an end to lost folders by clearly marking where folders have been removed. Simply insert the out guide in the files place. Preprinted forms on the out guide indicate which file has been taken, who is using it and the date taken. Each side of the out guide has 150 entry spaces. A red OUT tab in the 1/5 cut center position facilitates quick identification. 1/2" high tabs are printed in reverse type. Out guides are made of 18 point stock. SFI Certified.